The Bread Baker’s Apprentice Challenge! Do you want to bake some bread? How about a lot of bread? 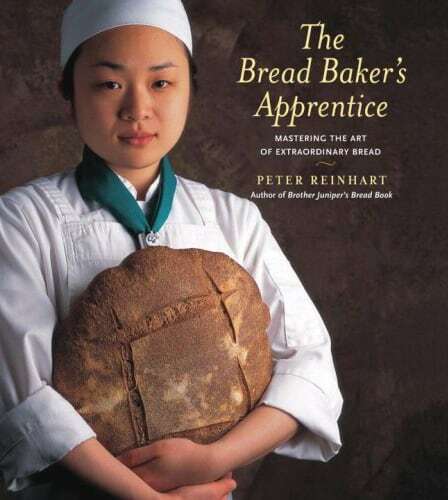 How about every single recipe in Peter Reinhart’s outstanding book, The Bread Baker’s Apprentice? Well, I have challenged myself to do just that, and I’m inviting you to join me! I’ve gathered together 35 200 home bakers who are willing to take this challenge with me. We’re scattered around the world, from all across the United States to Europe, India and Australia. Some of us are novice bakers and some of us have been baking for 30+ years. We’ve teamed up with one goal in mind: bake our way through The Bread Baker’s Apprentice. Since we are still organizing the group and some members have yet to purchase the book, the goal to complete the first recipe will be two weeks from now, on May 18th. If you are interested in what we’re doing, you can follow our progress here every Monday, beginning May 18th. I will be posting photos and will keep you up to date with which recipe we will be working on for the following week. I won’t be posting the recipes themselves, so if you want to try baking any of the breads with us, you will need to purchase the book. There are several ways for you to join in the fun! First of all, you need a copy of Peter Reinhart’s The Bread Baker’s Apprentice. Read the first section of the book carefully, as this will prepare you for the bread recipes in the second section of the book. Then just jump in and bake some Anadama Bread! Please visit The BBA Challenge Page for more details on how to participate in the group! Dang! If I wasn't so busy with other baking goals, this would totally be on my list. Not to mention that I don't really need *another* baking book :P I'll impatiently wait for each week's bread though - kudos on taking on this project! I SO wish I could do this with you. I would love to become a better baker. Unfortunately, I'm in my last two classes to FINALLY complete my Bachelor's, so that really should take primary focus, even though I don't want it to!I wish everyone doing the challenge the best of luck, and I can't wait to see the results! My husband absolutely *loves* this book. I will have him follow along, but probably not join! So can I still join in this madness. You guys are so brave. I really commend you and can't wait to follow along from the sidelines! Yay! I love seeing Johnson and Wales!!! This is a lovely idea, as a breadbaker I'm sooo tempted, but the once a week thing would keep me in a stranglehold to much, so I won't join. Have lots of fun baking guys! Do I need a stand mixer?I don't own one. I can't wait to follow your progress! Will you be letting us know which ones are the best tasting and possibly the healthiest options? Jane: It looks like we will be completing about 43 total recipes, although some might opt to try some extra variations as we go. The plan is to do one per week, but I'm sure we may take a break once in a while due to holidays, travel, etc. It's looks like we'll have close to a year of baking! :-)BBA: A stand mixer is not a necessity, but it will make things easier.Grace: I plan on giving weekly feedback on the bread, but won't be sharing the recipes since they are straight from the book.Sally: You certainly don't need to be a blogger to join this challenge! We have set up a google group where we can all communicate, give advice, and lend support. This sounds like so much fun! I wish I could join but I think I'll have to content myself with eagerly following all your progress each Monday. Wow! I Love This Challenge! Count me in. Will you send us an invite to the google group? Yea, I need to join another challenge group like I need another hole in my head but....Tanna convinced a few of us Bread Baking Babes to join in the fun. Hope I can keep up!! This is such a great challenge. Nicole!! !I am in it! Remember, I am already partly through it with the Sourdough Chronicles! Lol...Sign me up, I have the book!Gabi. This is so different than anything else I'm doing, so, even though it may kill me, I can't resist going for it. I will be ordering my book asap. I am going to give it a try. I've just gotten back into artisan baking and a new friend has asked me to bake a loaf of bread for her every week, and doesn't care what kind I bake. Perfect timing, huh? Love the book. It is the best bread baking book I've come across. I just looked through the pix. I'm thisclose to at least browsing through the book and considering it...although, dough sometiems scares me. We have been bitten by this bug so we made full use of the 40% off coupon from Borders to buy this baby. Can't wait to bake Andama! We have been bitten by this bug (BBA) so we made full use of the 40% off coupon from Borders to buy this baby. Can’t wait to bake Andama! I'm in! E-mailed you with my info; can't wait to get started. What a great project!! I'm sorry Nicole if I've missed it: is there any guide line about putting up the recipe if we're posting on our blog. I always give credit and write it in my own words with my changes. But I'm wondering since Peter contacted you if there is an understanding about putting up the recipe. Woo - hoo! This is a fabulous idea. I'm in if it's not too late! Wow ! I just bought this book but am afraid to make the once-a-week commitment. I do participate in BBD and Yeastspotting and I try to do BBB as well. But this one makes me a bit afraid....I'll bake along when I can though and compare my results with yours. Have fun! This sounds great! I love the book, and would love to participate. I need a good excuse to bake more than just the light wheat bread from Peter's book. :)Is it too late to be added to the list?Thanks! Great, I will follow your progress. I have the book so I will let you all test the recipes and let us know which ones we just have to try! Thanks. Just wanted to say, I pulled the Anadama loaf from my oven yesterday and it was delicious. I've learned so much from Peter but have yet to make quite a few of his recipes so I'm definitely excited to tag along with you guys and complete the challenge. If I weren't so busy making chocolate I would have loved to participate. I have been using Brother Juniper's Bread Book for years, and it was my original baking bible! What a great idea! I love this book and would love to join the challenge if you're still accepting participants. I'll post and share my results here http://breadmakingblog.breadexperience.com/. Thanks! I'd love to join in -- I make bread often, but I tend to make the same few loaves over and over again. Is it too late to be added to the blogroll? It's horizon-broadening time! Love the book and the idea---I'm in---made the Anadama Bread 5/20, Christopsomos yesterday and Bagels are happening this am---I'm caught up I think. How exciting! My daughter is a food blogger (Culinerapy) and because she knows I love to bake bread she gave me BBA for Mother's Day! Is it too late to join in? It's such a great cook book, I would LOVE to learn along with you all!